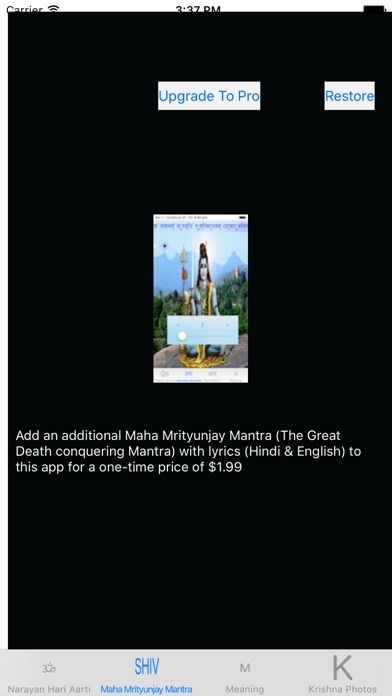 You can listen to Shree Narayan Narayan Hari Hari Aarti with this app. Narayan is Lord Vishnu, one of the most important Gods, part of the Hindu Trimurti(Trinity). 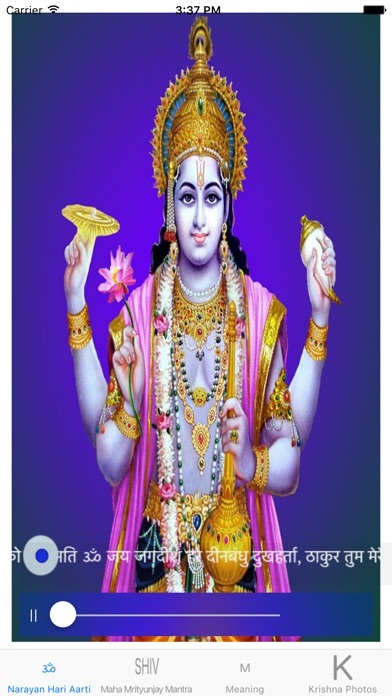 Lord Vishnu is known as the preserver of the universe. 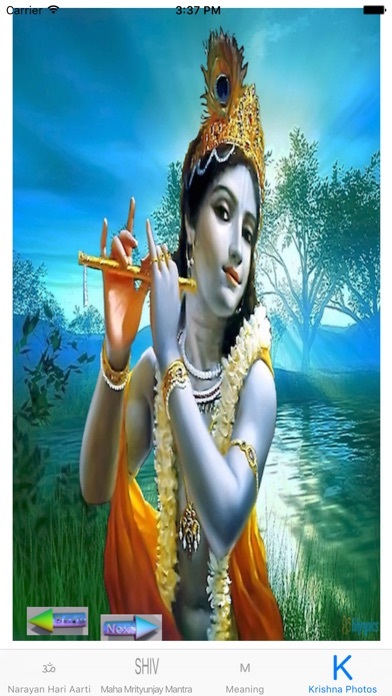 His avatars include Shree Ram and Shree Krishna, who are the pillars of Hindu mythology and religion. This aarti is dedicated to Lord Vishnu. Start your day by listening to this aarti and offering prayers to Lord Vishnu. He will bless you with riches and happiness. You will be filled with immense energy that will last throughout the day. - Introducing Force Touch for iPhone 6S, 6S Plus users. Now, Force Touch on the main photo to view photo in full! - More exciting updates on the way! Jai Shree Ram. Jai Shree Krishna. Om Namoh Bhagwate Vasudevaya. Jai Shree Ganesh. Have a blessed Ganesh Chaturthi! Ganapathi Bappa Moreya.